TEANECK, New Jersey (WABC) -- Police are searching for a man who allegedly impersonated a police officer and pulled a woman over in Teaneck. The incident happened on Saturday, March 12, around 11 a.m. Authorities say the victim was driving north on River Road when she observed a blue four-door vehicle, possibly a Ford Taurus, pull out behind her from Dearborn Street and activate a blue emergency light from the dashboard. The woman pulled over, and the other vehicle stopped on the side of the roadway in front of her. Police say a man got out and approached her car, identified himself as a detective and told her she was speeding. The victim reported that he had his hand resting on a gun that was holstered on his right hip. Suspecting that he was not a real police officer, the woman drove away from the stop. The suspect got back in his car and drove away in a different direction. 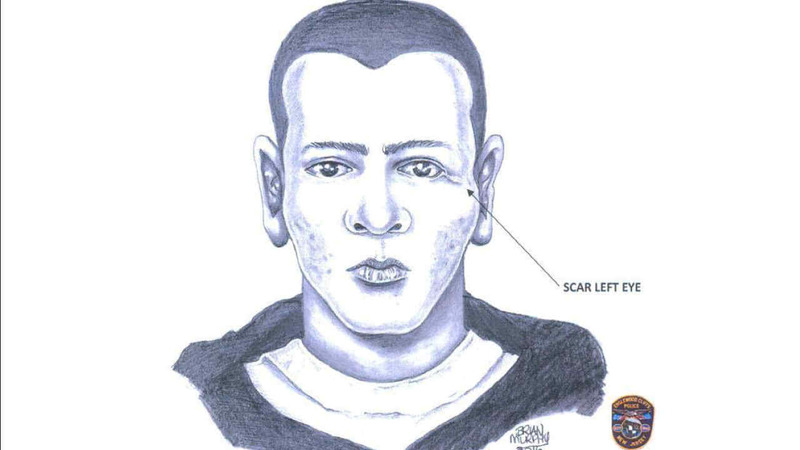 The man is described as a white male in his 40s, approximately 5-foot-9 and weighing about 170 pounds with dark hair in a buzz cut, dark eyes and a scar by his left eye. He was wearing a black Carhartt sweatshirt with a gold zipper, a white undershirt and dark colored pants. The investigation into this incident is ongoing, and anyone with information is urged to contact the Teaneck Police Department at (201) 837-2600.